Food and drink lovers descend on the annual Winter WineFest. Celebrating its 10th anniversary, this FREE ADMISSION event, is held over the weekend of January 11-13, 2019 is sure to delight. It showcases some of the best VQA wines from celebrated winemakers and gastronomic pleasures from local culinary talent. The festival attracts more than 8,000 visitors and continues to build on the success of the first year’s lineup which showcased more than 20 wine and restaurant vendors. Highlights of the upcoming festival include demonstrations from the Grape Growers of Ontario featuring their 8 Below Series; the chef inspired Sparkling Dinner and Icewine Brunch hosted by celebrity Chefs Connie DeSousa and John Jackson, owners of Calgary’s charbar and CHARCUT Roast House; and fantastic Canadian artists rounding out three days of live musical entertainment. Headliners for the 10th anniversary include Winter WineFest alumnus Ashley MacIsaac, kicking off the event on Friday night and Whitehorse, closing the festival on Sunday afternoon. Coleman Hell is welcomed to the Winter WineFest stage for his first time on Saturday night. 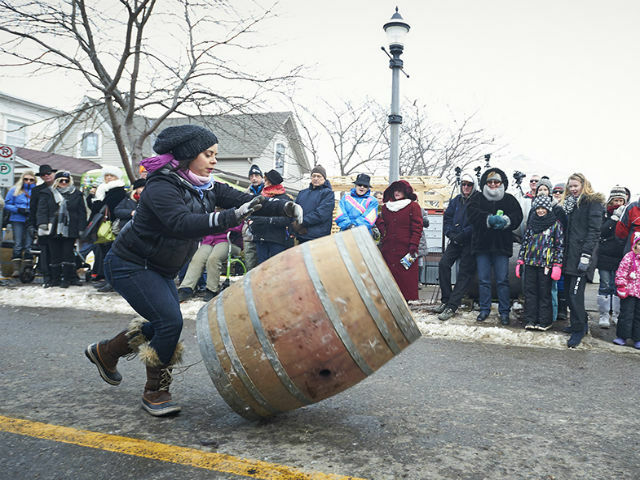 The Winter WineFest is a FREE event! However, we do have some Featured ticketed events such as the Sparkling Dinner and Icewine Brunch, The Dillion's After Party, Bench Brewing After Party and the Chef Challenge! To purchase your tickets to any of these unique experiences, click below!